Considering calling Alexandria, Virginia home? You should be! Aside from its lengthy and storied history (did you know the city pre-dates Washington, DC?! ), Alexandria offers up something that’s hard to find in many pockets of the greater Washington, DC area, a true sense of community. Amid the tree-lined, cobblestone sidewalks of Old Town and the compact, walkable streets of Rosemont, you’ll find friendly neighbors that deeply care about where they live. 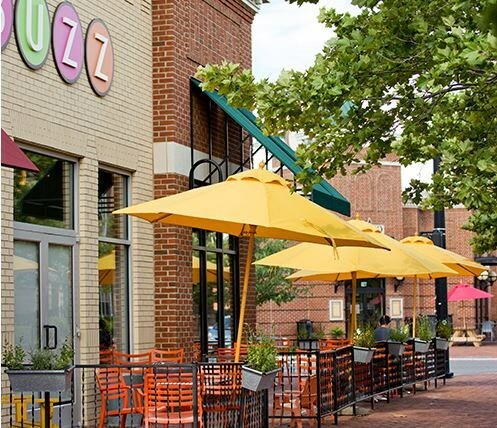 Spanning 15 square miles and located only five miles south of Downtown DC, Alexandria is a city that has slowly evolved over the past 20+ years into the multicultural, creative, accessible and inclusive city that it is today. The city is typified by historic neighborhood, independently owned restaurants and shops, community activities, and access to outdoor activities and green spaces. Its proximity to DC means that a lot of Alexandria residents work in and commute to our Nation’s Capital on a daily basis. It also means that a lot of residents are renters – folks who work for or tangentially to the government and are in the area for a set number of years, but haven’t decided if or when to purchase a home. Rental options are abundant and generally take the form of high rise apartment communities or town homes. Unlike other areas of the DMV, the majority of rental units in Alexandria are either new construction or have received heavy renovations resulting in immaculate spaces with high-end appliances, features, and fixtures. 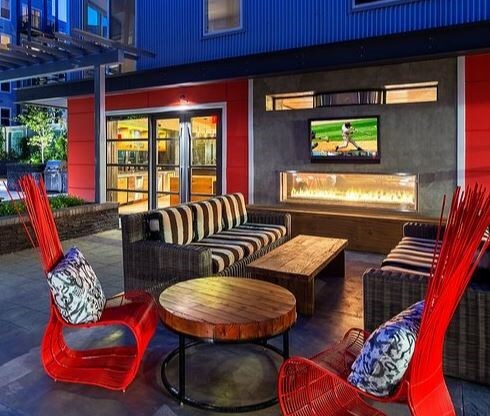 Expect apartment buildings to offer additional perks like shuttle-to-Metro services, club rooms and community spaces, and rooftop terraces or pools. One of the main reasons that residents are so loyal to Alexandria is that it excels at offering all the amenities that you would expect to find in a big city, but does so in an uncomplicated, homey way. Perhaps the most famed ice cream shops in the entire DC region, the Dairy Godmother, sits at the heart of Del Ray. You can find world-class restaurants steered by celebrity chefs just as easily as you can cozy up at a corner table in an unassuming coffee shop with an on-site roastery, like Misha’s in Old Town. The Mount Vernon bike trail ambles 18 miles along the Potomac River and provides direct access to DC and George Washington’s Mount Vernon estate. Holiday celebrations and annual festivals dot weekends year round (like Taste of Del Ray and the city’s Birthday Party in July) and community gardens, farmers markets and outdoor film festivals brighten the spring and summer months. While much of Alexandria has a similar quiet and easy vibe, each neighborhood within it has its own nuances that make it unique. And each neighborhood varies slightly in the quantity and style of rental options available. Old Town – This is likely the neighborhood that most people picture when they think of Alexandria. 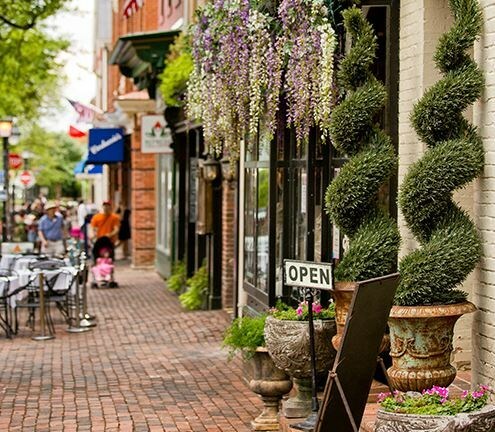 It’s the historic core filled with aging but beautifully maintained brick buildings that house boutiques, antique shops, galleries, restaurants, and bars. Its charm is undeniable. Hugging the bank of the Potomac River to the east, this area also has a decidedly nautical/coastal slant that’s emphasized by riverfront parks and boat docks. Living here means you’ll be in the most heavily –visited and touristy section of Alexandria, but will have easy access to all of the amenities and public transportation choices that go along with that. You’ll walk historic streets daily and be minutes from the waterfront. Del Ray – In this idyllic neighborhood, you’ll find renovated row house rentals and newly constructed apartments buildings nestled alongside the homes of decades-long residents on scenic streets. Longtime resident Christina Saul gushes, “Del Ray is one of the most inclusive places I’ve ever lived and it goes beyond rainbow flags and ‘I’m glad you’re my neighbor’ signs. It’s an urban neighborhood that feel like a small town. Most of all, there’s room for everyone (gay, straight, married, unmarried, lotsa kids, no kids, black, white, brown, and every color in-between), I know and love my neighbors.” Central Mt Vernon Ave serves as Main Street USA with shops, markets, and restaurants. Rosemont – This neighborhood features dozens of buildings that are listed on the National Register of Historic Places (many dating to the mid-1700’s!) and is one of the oldest residential area in Alexandria. Here, stately single-family homes punctuate winding streets and rental options are more likely to be stand-along homes with yards or row houses. West End – West of Rosemont, this aptly-named swath of Alexandria is comprised of many small neighborhoods with meandering roads and parks separated by sections of commercial development and shopping centers. It has a distinctly suburban feel, but to the far west you’ll find clusters of apartment complexes with easy access to 395. Arlandria – To the northern boundary of Alexandria is Arlandria, an area that has seen less commercial development than neighborhoods to the south (though it has a plethora of ethnic restaurants and shops) and offers mid-sized apartment building rentals that are often less expensive than new construction. Many homes in this neighborhood also have views of the Washington Monument to the north, if you like that sort of thing. One huge factor to consider when selecting a neighborhood to live in is the type of public transportation available, if any, especially if your day involves a commute. Love it or hate it, Metro is often the quickest, easiest and most reliable way to get around. The blue and yellow lines travel right through Alexandria with stops at King Street and Braddock Road. 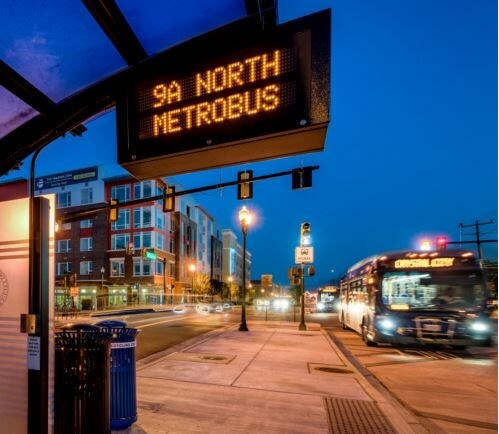 MetroBus provides various routes throughout the city and surrounding areas and the local DASH bus system offers reliable transportation within the boundaries of Alexandria. Living in Alexandria doesn’t mean that you need to own a vehicle. Many areas are perfectly walkable, but for those living in the more suburban neighborhoods to the west, a car may be helpful for getting around. Street parking is plentiful in most neighborhoods, though it becomes scarcer in higher-populated areas like Old Town and Del Ray. The flat and tranquil Mount Vernon Bike Trail is the perfect transportation route for those looking to bike, walk or run. It parallels the Potomac River and gives access to several bridges into DC. Potomac Riverboat Company provides water taxi services from Old Town to the National Mall in DC or Maryland’s National Harbor throughout the day.